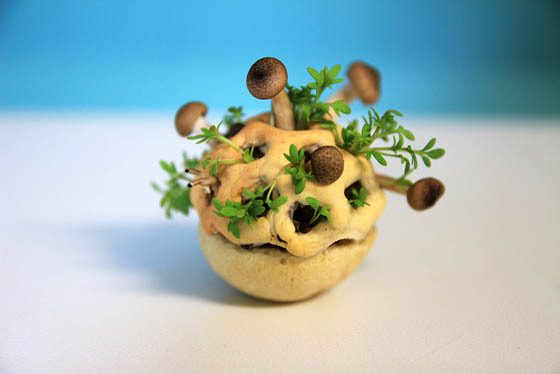 Edible Growth is an ongoing project by Eindhoven-based food designer Chloé Rutzerveld who developed a concept for “healthy and sustainable” 3D-printed snacks that sprout plants and mushrooms for flavor. 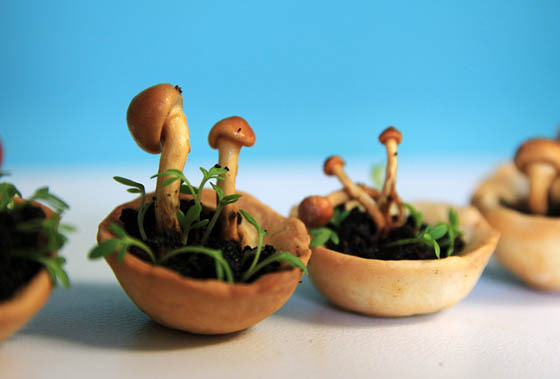 The concept involves a specially printed outer casing made from dough that contains “edible soil” and various seeds. Once printed, it takes a few days for the seeds and mushrooms to germinate after which they start to poke out of the small holes on top. 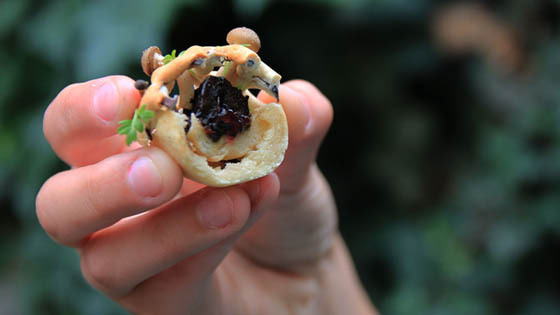 As the plants and mushrooms grow, the flavor also develops, transforming into what Rutzerveld claims is a fresh, nutritious and tasty snack after only a few days. 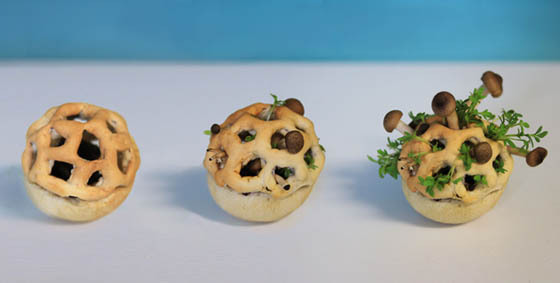 The aim of the project was to investigate ways that 3D printing could be used in the food industry. 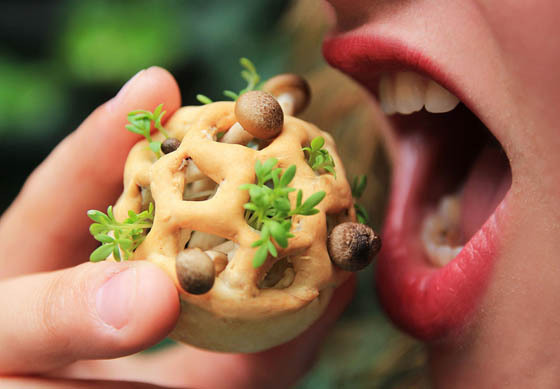 “By 3D printing food you can make the production chain very short, the transport will be less, there is less land needed,” says Rutzerveld.”But also you can experiment with new structures. 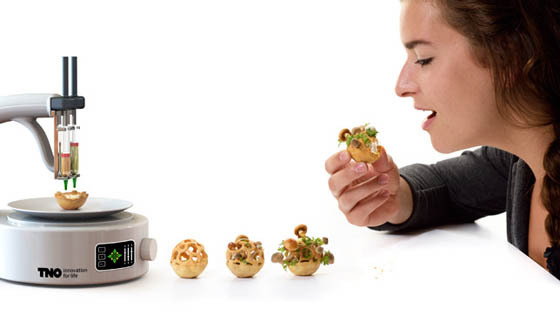 You can surprise the consumer with new food and things that haven’t been done before.” However, Rutzerveld’s project is still at the research and development stage and she admits it will be a long time before anyone is able to 3D-print her snacks at home.